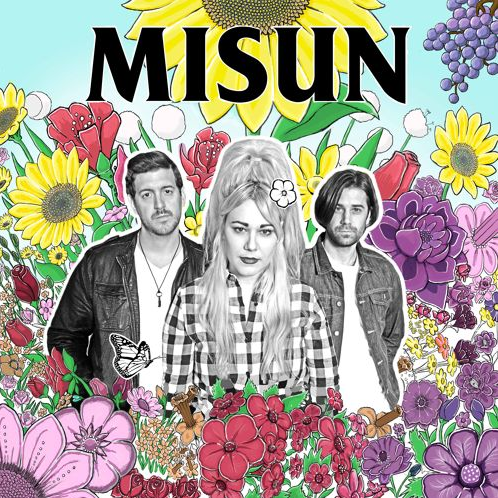 Misun (pronounced ‘me•sun’) transcends traditional pop as they effortlessly blend 60’s rock & roll nostalgia with hip-hop, dance and a touch of spaghetti western. Clearly they’re a kind of mishmash, perfectly balanced, that they have self-proclaimed as Aquawave sound. However Misun’s sound is defined, their deft exploration of sonics and style makes their catalog multidimensional (and at times unpredictable) while their music always remains cohesive and timeless. They recall me a band I loved a lot at first listen: MGMT. Actually, less synth than MGMT, Misun are on the same wave from my point of view: the hypnotic beats merge with the ambiguity of Misun Wojcik’ vocals that seem to be possessed by a structural echo, like two tones in one, an overtone singing that I didn’t listen to since long time.